Overnight Oats: This is all Andrew but he makes these EVERY DAY! Mixed all together at night in a container and put in the fridge to enjoy in the morning! Just stir and enjoy! 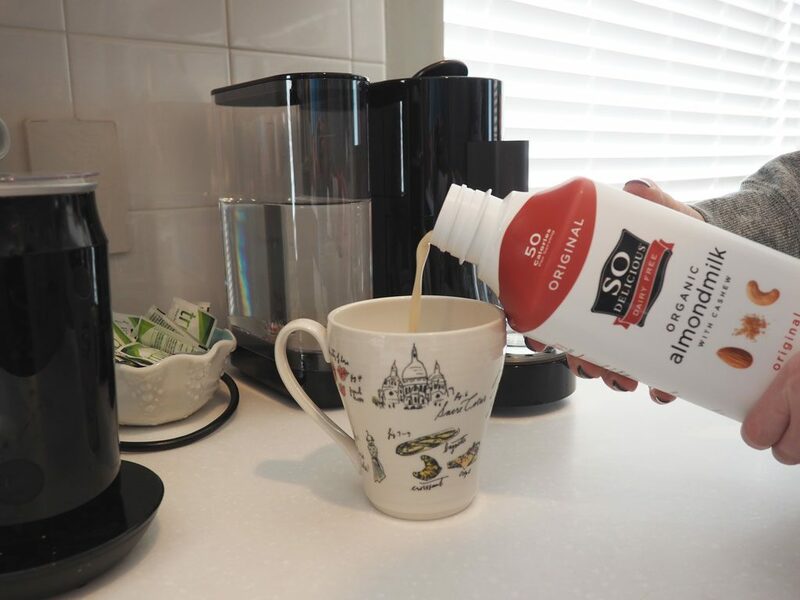 Lattes: Just make a latte or coffee your regular way and use So Delicious Dairy Free Organic Almondmilk instead. I top with cinnamon for a little extra fun! 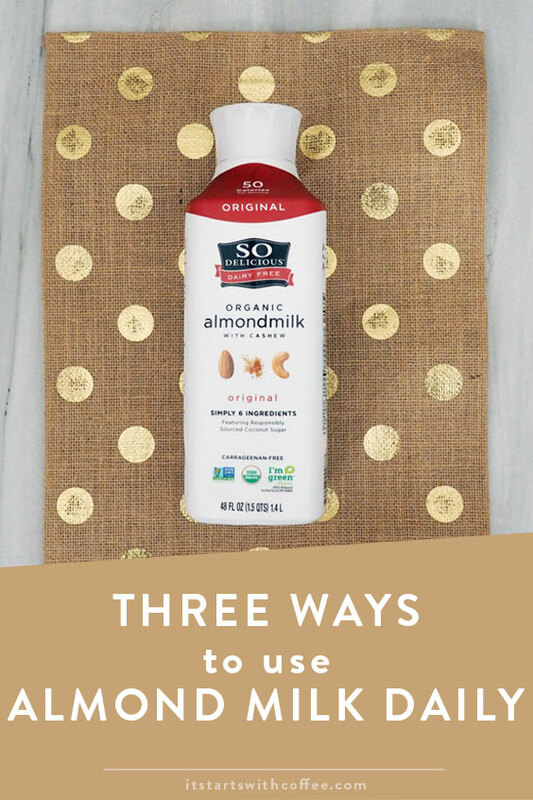 So there you have it Three Ways To Use Almond Milk Daily! It really gives all the recipes such a better taste and we really love it! 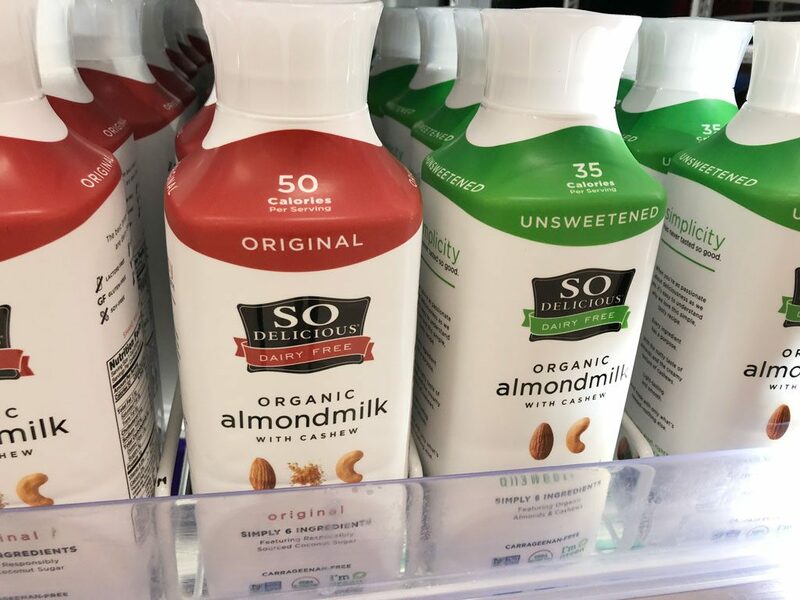 We also use Almond Milk for any other recipe that calls for a milk product! 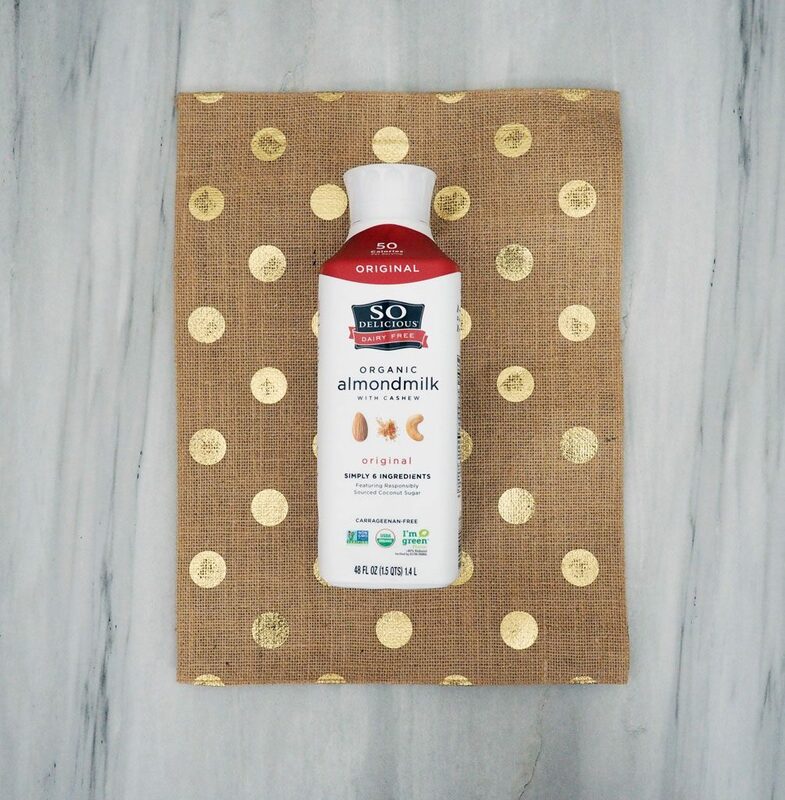 Are you an Almond Milk drinker? This is a sponsored conversation written by me on behalf of Target. The opinions and text are all mine. I’ve never tried it, but I am curious about using it in a smoothie. I’m trying to find more smoothie recipes that don’t have tons of ingredients. 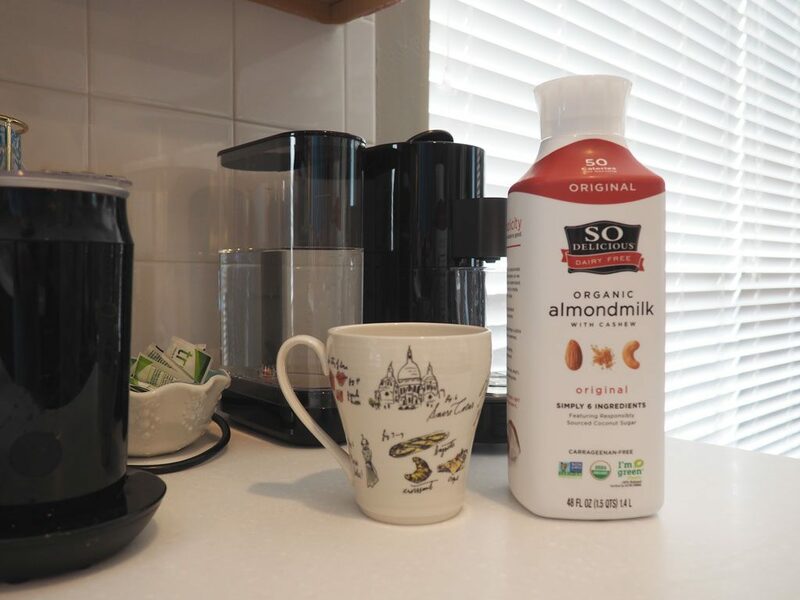 I have never tried almond milk but it seems like a healthy alternative to use in coffee. Thanks for the ideas. I love almond milk! I don’t drink coffee but I try to use it in everything else, although its definitely not every day. This stuff is my favourite! It comes in handy for so many different recipes! I love almond milk and use it almost daily! I think it became one of my “comfort foods” when I was in college. I’ve never tried this brand, but I’d like to! I love smoothie with almond milk and the pb too! I find if I need to and have choice, I prefer almond milk to the opposition for sure. I eat overnight oats everyday. Maybe I should try switching to almond milk for a healthier option. I am an almond milk drinker! I like making hot cocoa with it myself and use dark chocolate and stevia . I have used almond milk in smoothies and it is really good. I like your ideas too! I use almond milk in my coffee and in my oatmeal. I love almond milk. I use almond milk when making smoothies. However, I’m looking for a new smoothie recipe. Yours looks worthy of a try. The smoothie recipe sounds delicious with almond milk. I will have to try that. I don’t use creamer or milk in my coffee but I would love to try adding almond milk and see how it tastes. I’ve never tried almond milk. These recipes sound like a delicious way to try it though. I love the idea of using it in smoothies. It’s a great way to mix things up! I love almond milk in my cereal! We’ve been trying to cut back on sugar so adding almond milk to our smoothies instead of juice has worked out well too. 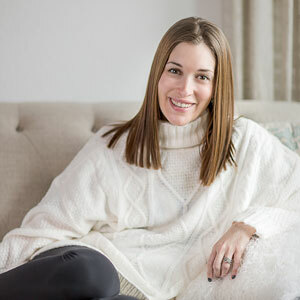 I LOVE almond milk, and I use it constantly in the same ways you do! I especially love overnight oats, and I’m excited to try the recipe for the one you’ve shared here!